Make Offer???? What kind of a joke is that? We didn't see the humor in it. 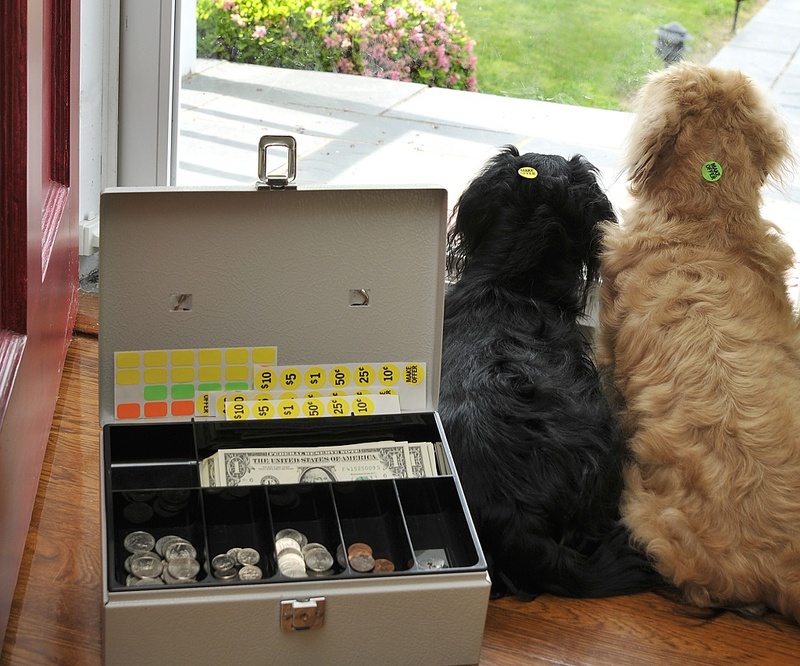 Just because we barked a little...well a whole lot... while that old Yard Sale was going on...that's no reason to put stickers on us that say "Make Offer". Hehehehee....too funny. I can take only one or 2. I live in a townhouse with a small yard but they have short legs so that should work out okay. Oh, those poor little guys... they thought they were helping, I'm sure! Beanie Baby: $5.98 Jetson & Jordan: Priceless! Meanwhile, they can't believe NOBODY MADE AN OFFER! On such good pups! haha! I hope you did well at your sale! I'll make an offer! What's your highest bid?! LOL! You are TOO funny! These guys are so used to being THE center of attention that they're just confused ... LOL! How funny! Who wouldn't want to make an offer on this pair? bark a little!!! A LITTLE!!! LOL HAHAHHA LOL HEHEHEH LOL HOHOHO! riiiiiight!